VANCARE ceiling track systems help ensure the successful operation of your ceiling lift operation. We offer a large selection of track styles, track curves, and other components. You can trust your VANCARE representative to help you develop a track system that fits your unique needs. VANCARE straight aluminum track can be used in linear rail applications or as the support rails for an X-Y gantry system. Available in 6’4” (1.93 m), 8’2” (2.5 m), 10’2” (3.07 m), and 16’5” (5.0 m) lengths. VANCARE offers the thicker profile of Super Track, which allows for extended spans between supports, making it ideal as the traverse boom for X-Y gantry systems and for Wall Mounting applications. Available in 10′ (3.0 m) and 12.5″ (3.73 m) lengths. VANCARE’s Track Plus is most commonly used to accommodate longer, unsuspended spans. Available in 16.5’ (5.0 m) and 19’8” (6.0 m) lengths. Ideal for traversing booms in two-bed suites, PT rooms and anywhere long unsuspended spans are needed. Curved tracks are used to change the direction of tracks in a single-track system. The 45 Degree Curve can be used with other straight or curved tracks. Available in “inside” and “outside” designs to allow for the finished side of the track bracket to remain consistent throughout the installation. Curved tracks are used to change the direction of tracks in a single track system. The 90 Degree Curve can be used with other straight or curved tracks. Available in “inside” and “outside” designs to allow for the finished side of the track bracket to remain consistent throughout the installation. 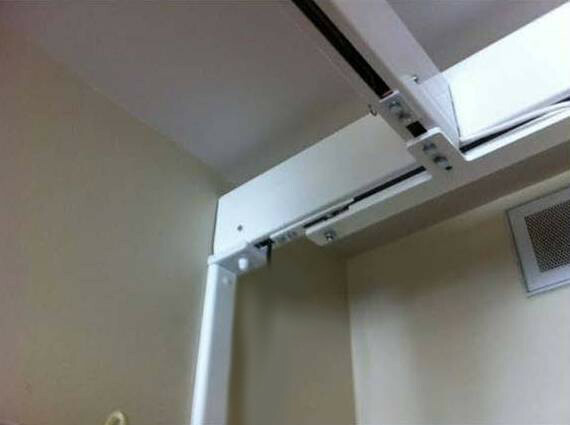 This curve is currently available for the P-Series and C-Series Manual Ceiling Lifts. The Quick Curve is a 90-degree curve with a turning radius of 8″ potentially avoiding the requirement for more costly installation options. Mounted only to the adjacent sections of straight track, the Quick Curve offers a more cost effective installation. The Wall Mount System is used as an alternative to ceiling mounting. The system comes complete with all hardware and can be attached directly into drywall provided that it is at least 3/8″ thick. Quickly installed, the Wall Mount System offers the same stability as ceiling installations. It can be used for pre-existing as well as new construction. Sold separately, the Wall Mount 6″ bracket is used with the Heavy Duty Wall Bracket to attach the track. The Wall Bracket allows for track to be installed directly into the wall where ceiling mounted applications are not practical. The Multi-Port Turntable provides the end-user with ultimate flexibility in lift and transfer situations that demand a wide range of locations. The turntable provides 15 different ceiling track take-off points at 22-degree intervals. The turntable is easily rotated with the use of a simple pull-cord mechanism. The Power Multi-Port Turntable offers the end-user ultimate flexibility in situations that require access to a number of transfer locations. The turntable provides 14 take-off points. The Quick-Fit turntable allows for directional change at 90-degree intervals. The turntable is rotated using a simple pull-cord mechanism.